If your dog can finish an entire meal in less time than it takes you to say, “Bailey, slow down!” you have a chow hound on your hands. These are the dogs that inhale their food without bothering to chew or even check what they’re eating. 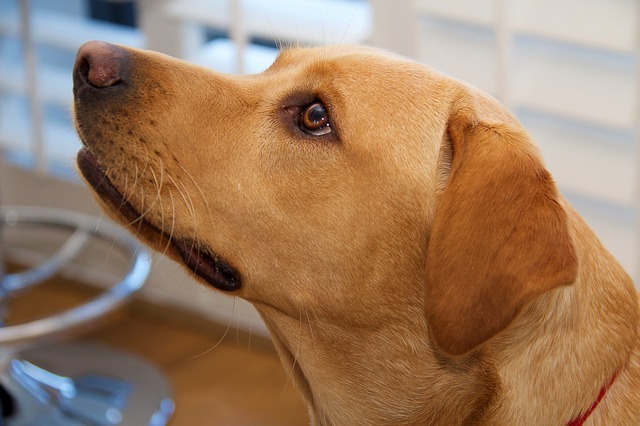 Labs are notorious chow hounds, but they come in all sizes, breeds, and personalities. Gulping food in record time is an impressive skill in some circles, but eating too fast is a serious problem for dogs. It puts their health at risk, and in some cases, it’s life threatening. There are several dangers of a dog eating their meals too fast. First, they risk choking on their food. They don’t take the time to chew properly, and it’s easy for food to become lodged in their throats. All pup parents should know how to do the doggy Heimlich maneuver, but choking on food is always scary and life threatening. Even if your dog manages to safely swallow every bite, there’s a good chance the food won’t stay in their stomachs. A lot of dogs that eat too fast end up vomiting entire meals a few minutes after finishing. If you dare to take a closer look, you’ll see the thrown-up food doesn’t look much different than it did when you put it in your dog’s bowl. That’s because it was barely chewed and the stomach didn’t have time to digest or absorb nutrients. The most serious concern dog owners need to know about is a condition called gastric dilation-volvulus (GDV)—better known as bloat. Bloat happens when dogs take in air as they eat. The stomach or intestines expand and sometimes twist within the abdomen. It’s immediately life threatening, and according to Dr. Jeff Grognet with AKC, it kills around 30% of dogs it affects. Signs of bloat include a ballooning of the dog’s abdomen, retching, and general restlessness. It’s important that a dog suffering from bloat sees an emergency vet right away. Big dogs with deep chests are most at risk, and Dr. Grognet says dogs that eat fast are five times more likely to develop bloat than dogs that eat more slowly. We all wish we could sit down and have a logical chat with our dogs about why they need to slow down when they eat. You can try that method, but don’t be surprised when it doesn’t work. Instead, it’s your responsibility to find effective ways to keep your dog safe and healthy. Here are a few strategies that have been proven to work. As the name suggests, slow-feeder bowls are made for the exact purpose of forcing dogs to slow down when they eat. There are several different kinds, but the general idea is the same. Instead of being a regular bowl with a smooth interior, slow-feeders look like 3-D mazes. Some are more complex than others, but they all disperse the food so the dog can’t eat it all at once. You can buy them online and at most pet stores. If you don’t want to spend money on a new dog bowl, there are plenty of ways to make your own. An easy DIY slow-feeder is to take a tennis ball (or any other ball that won’t be a choking hazard) and place it in the middle of your dog’s food bowl. They’ll have to work around the ball to eat, and it’ll slow them down. Other popular ideas are spreading food out on a large cookie sheet or putting the food in an old muffin tin. Puzzle toys and treat-dispensing dog toys will slow down your dog, and they have the added benefit of providing excellent mental enrichment. There are countless options, and you can choose toys that match your dog’s skill level and favorite type of play. There are balls that release toys as they roll on the ground, puzzles that require problem-solving skills, and toys of all shapes that need to be pushed, tossed, and flipped to release their goodies. Some people use treat toys for snack time, but you can also use them to deliver your dog’s entire meal. You’ll never need to wash a dog bowl again. Your dog needs regular training sessions anyway, and dinner time is the perfect opportunity to motivate your food-driven dog. 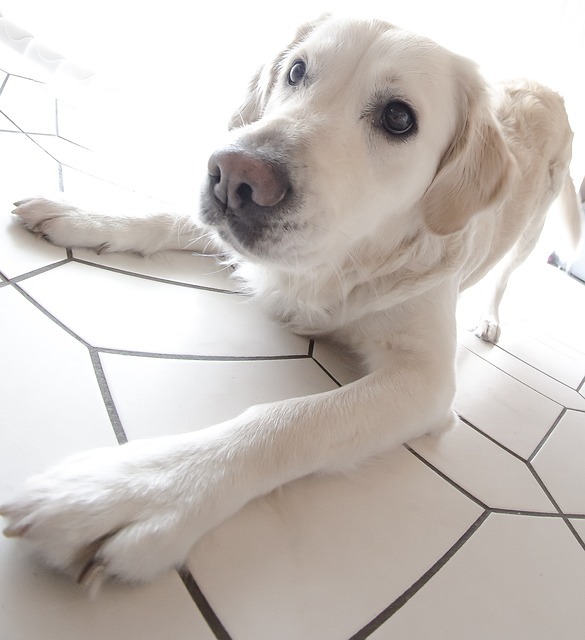 Use your dog’s regular food and dole it out in bits as your pup responds to your cues. You can work on reinforcing old behaviors while also training for new tricks. It’ll keep their brain active, their body moving, and you won’t need to worry about them gulping large amounts of food and getting sick. Instead of eating their meal all at once in 30 seconds, you can control how much you give them at a time and how long it takes them to finish. Eating fast isn’t as dangerous when the dog only eats small amounts. According to Dr. Grognet, dogs fed one meal a day are twice as likely to develop bloat than dogs fed two meals a day. Too much food too quickly puts them at risk. Consider splitting up your dog’s daily food allowance into multiple small meals a day. A snuffle mat is a great tool for engaging a dog’s mind and getting them to work for their food. The mat is made from strips of long fabric and is meant to mimic long grass and bring out a dog’s natural foraging instincts. All you have to do is sprinkle your dog’s regular food onto the mat. If you want to make it more challenging, tuck some of the food deep within the fabric. Your dog will have fun sniffing and snuffling to find all the pieces of their meal. It’ll take them several minutes to find every piece, and they might even be tired and ready for a nap afterward. Hand feeding is something dog trainers recommend when a person wants to improve their bond with their dog and address issues like resource guarding and bite inhibition. As an added bonus, it does wonders for dogs that need to learn to eat more slowly. To do it, hold on to your dog’s food bowl and let them eat small amounts of food from your hand. Make sure they have time to chew thoroughly before offering up the next handful. The one trick with this method is to make sure you don’t accidentally encourage rude behavior. Don’t offer your dog food when they’re barking, pawing at your hand, or whining. Wait until they’re sitting politely to reinforce the idea that good behavior gets them what they want.